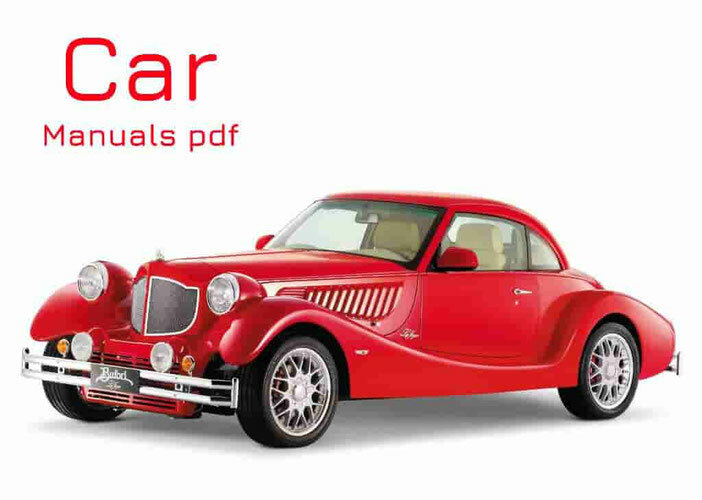 Rolls-Royce Car Manuals PDF above the page. From the very beginning they set out to create "the best car in the world", as was named Silver Ghost. With an emphasis on attention to detail and outstanding performance, Silver Ghost was a success from the very beginning of its release in 1906. Like many other automakers during the First World War, Rolls Royce turned to military production, but instead to make cars, they were making aircraft engines, such as the Eagle, which was used at half the fighters in the member countries of anti-German bloc. After the war the company continued research in the division for the production of engines and engine came up with "R", which was used in airplanes and cars to set new world records. In the postwar period to increase production have been developed such cars as the Phantom I and Phantom II. As demand increased, Rolls Royce had to open a second factory in the United States, in Massachusetts. Another successful step was the acquisition in 1931 Bentley (Manuals page), which later turned out to be profitable for both brands. Over time, Rolls Royce and Bentley were mechanically identical. Engine «R» in the end turned in praising engine Merlin. During the Second World War, Merlin really proven itself by being mounted on the bombers, such as the Hurricane, Lancaster and the Spitfire, who participated in the Battle of Britain. Frederick Henry Royce did not live up to the success of his engine as he died in 1933, aged 70 years. Rolls Royce car production resumed after the great fire, and as sales steadily grew, the company opened new plants in Crewe (Chesire) and to Derby. The former, the plant became the official office of the company, since 1946. Models of the period included the Silver Wraith, the last car, a body which has been created by an independent producer. After that, all Rolls-Royce cars were completely manufactured in its factories. 40s and 50s were prosperous times for the company Rolls Royce, which is why in 1966 the manufacturer decided to further extend its influence and redeem Bristol Siddeley (Manual page), another great manufacturer of aircraft engines in the UK. In 1950 he was released Phantom IV, the most exclusive Rolls Royce of all time. Only 18 cars were produced and they were sold to members of royal families and heads of state. Silver Cloud I and II also comes from this period, which was in the 60s followed the Silver Cloud III and Phantom VI. Since the 70s for Rolls Royce, a period of financial downturn. The government had to intervene, and in 1971 the company was nationalized, but it did not solve the problem. In 1973, the government divided the aviation and automotive industry, and the latter was sold to "keep afloat" aviation industry. Rolls Royce Motors was acquired in 1980 by Vickers PLC. Silver Spirit Rolls Royce was developed in 1981, and became the first car under a new brand. After that followed a completely new line aimed at a younger market, and it was much safer by regulating the emission of greenhouse gases. Possession Vickers completed in 90 years, since the company was put up for sale again. More likely buyer was a German BMW (PDF Manuals), since they are already used to have something to do with Rolls Royce, providing them with parts for Bentley cars. But at the last moment they walked Volkswagen. VW had rights to the statuette Spirit of ecstasy (Spirit of Ecstasy) and the shape of the radiator grille and BMW logo on the RR and the name brand. Both companies have reached a compromise, since VW would really like to get a Bentley and decided to sell the rights to a statuette for BMW for 40 million pounds. Since January 2003, the two brands - Rolls Royce and the Bentley, which went a long way together, have now been separated - Bentley produced in Volkswagen, and Rolls Royce to BMW. In the same year he released a new Rolls Royce Phantom - a car that was able to give a new direction of the company over the next century.